Want My Location? Get a Warrant! 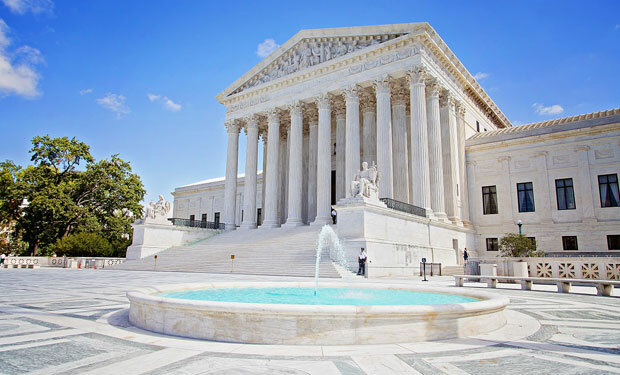 The U.S. Supreme Court on Friday ruled that data generated by mobile devices – including mobile phones – that can be used to track individuals and their location is protected by the Fourth Amendment, which guards against unreasonable search and seizure. The long-awaited ruling in the case of Carpenter v. U.S. was decided by a margin of 5-4, with all of the justices who joined the majority issuing a single opinion. The case involves Timothy Carpenter, who was convicted of a string of burglaries in Detroit in 2013. “To tie Carpenter to the burglaries, FBI agents obtained – without seeking a warrant – months’ worth of his location information from Carpenter’s cellphone company,” says Nathan Freed Wessler, an American Civil Liberties Union staff attorney who argued the case before the Supreme Court last November. “They got almost 13,000 data points tracking Carpenter’s whereabouts during that period, revealing where he slept, when he attended church and much more.”On Friday, the Supreme Court ruled that Wessler’s Fourth Amendment rights had been violated. “When the government tracks the location of a cell phone, it achieves near-perfect surveillance, as if it had attached an ankle monitor to the phone’s user,” Chief Justice John Roberts, who authored the majority opinion in the case, wrote in the Friday decision. As some recent incidents have highlighted, however, it’s not clear that organizations that amassed or shared mobile-phone location tracking information were even requiring law enforcement users to prove that they had obtained a subpoena or court order that allowed them to access such data. In other words, police in many cases must now “procure more information and data to support such a warrant … and as a result, persons will have a greater degree of privacy in their location despite carrying devices that are constantly beaconing to cell-towers,” Pierson says. “Although this case is very specific to cell-site location information, we can see that the court is moving the pendulum back towards individual privacy, despite technological advances,” Pierson says.